Please find outlined below some frequently asked questions. If you have any other questions or concerns then please don’t hesitate to contact us. The Mandate & Authority to Act (Mandate) and Rental Agreement set out all your responsibilities and the co-operation we may require from you and enables us to act on your behalf to recover the charges of the replacement vehicle off the at fault persons insurance company. You will receive these once we have lodged your application. You must read them carefully and speak to us about anything that you would like clarified before you sign them. 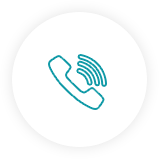 By speaking with us on the phone or applying online you agree for us to share your information with the other party and this includes the insurance companies with whom they are insured to ensure no claims are fraudulent. All our calls are recorded so that we can rely on them in future if required. If you do not wish us to do this then please advise immediately. What age does the driver have to be? If your vehicle is a total loss you must inform us immediately upon receiving an offer from the insurance company or your cheque. Failure to do so may deem you liable for any days we are unable to claim. How long can I keep the vehicle? Generally you can have the rental vehicle for the length of time the estimate says it will take for the vehicle to be repaired. If the repairs go over this time then we are only able to extend this time if your repairer provides us reasons as to why it has taken longer. We may need your help in getting this information. We try and place you back in a vehicle similar to the one you have come out of. This depends on certain circumstances including availability of our vehicles and the age of your vehicle. When providing prestige vehicles we take into account the age of your vehicle and the need for a prestige vehicle, as the other parties insurer may request this information. What if I’m having further repairs carried out on my vehicle? We will be happy to offer you a competitively priced rental vehicle for any additional days your vehicle is off the road not as a result of the accident. Do I have the right to shop around? What if I use my vehicles for business? Liability, charges and right to have a vehicle? In most cases insurance companies co-operate with us and we will have no problem with the payment of your rental bill. However, certain insurance companies want to make life as difficult as possible for us in the hope that it will deter you from using us. Accordingly, to allow us to recover your costs, you must co-operate with Compass if asked to do so as set out in the Mandate. On some occasions, this may include us issuing legal proceedings in your name against the at-fault party and you needing to provide evidence in support of your need for a hire car and how long you had it for. If an insurance company does start talking to you about what we may and may not do then please do contact us or speak to the company that referred you so that we can (allay any concerns you may have). I How will I know when the insurance company has paid my hire? We have a thorough complaints procedure and we ask that if you have a complaint put it in writing within 24 hours to customerservice@compassclaims.com.au. One of our customer service team will respond within 5 working days. What if I’m asked to sign a release? Occasionally insurance companies, or the other party will make you sign a release for the cost of your repairs. Under no circumstances are you to do this. Please liaise with Compass immediately.